make a song without an audio engineer,” Aneesh Gera who is achieving success world over and champions the role of an audio engineer. Chasing an emotion, this unstoppable Goan in his journey in music has reached a whole new level in his release Solace. Solace is at number 4. On Beatport’s WORLD top 100 charts. “Solace was ground breaking for me, pushing my boundaries and writing an underground progressive house record,” he adds. ‘Solace’ followed his huge success with his record ‘Starchaser’, an underground record which has over 1.13 MILLION streams to date on Spotify ! A feat not many from Asia have achieved. Starchaser is signed to one of the biggest record labels in the dance music space - Black Hole Recordings, founded by TIESTO in the Netherlands & also hit #41 on Beatports world top 100 chart. Beatport is oriented towards fans of electronic dance music, covering EDM news and culture. Starchaser also has 510.8k listeners on Spotify since 2017 across the globe, with the highest in United States, followed by the UK & Japan. Informatively, Spotify is a digital music, podcast, and video streaming service that gives one access to millions of songs and other content from artists all over the world. Gera wanted Starchaser to be remembered and valued as a means of people connecting to the blissful melody. “I wanted to write a piece of music with a journey and a story behind it; something you could listen several times, and that you could connect with,” he describes. So how did all this begin. 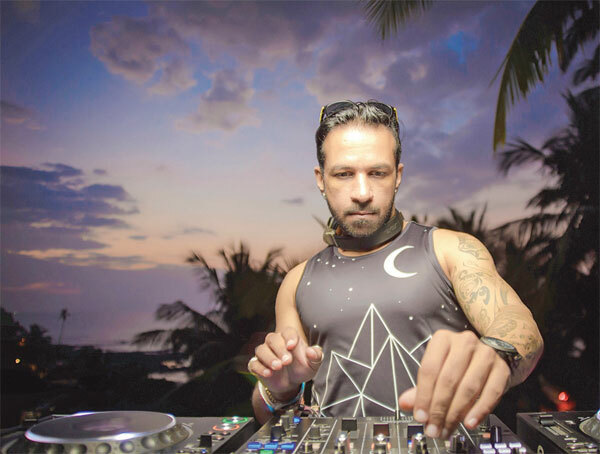 Once a young teenager, Aneesh visited a nightclub in Goa and was impressed by one person (the DJ ) entertaining 100s of people giving them a collective experience. Though it was a non-trendy small mindset approach to DJ’s back in the day, none of it mattered to Aneesh. “All I knew was that I needed to work within music” he says. He played his very first show at Kala Academy, but his mind revolved more around the work he wanted to do. Till date this charming Goan DJ boy has had one focus in life and that’s music. He understands the simple quota of life, “Sometimes it works, and sometimes it doesn’t, but we cannot be discouraged.”Soon enough Aneesh Gera will be on the verge of reaching number 1 on the World Chart for his genre of music and that is what the people of Goa hope for.